This’ll be a longer post game analysis than coach Pitino had Monday night under the Virginia rafters. I didn’t necessarily need any more than what we could see on the sidelines with Virginia and Tony Bennett at the opposite end of the floor. Virginia resides on a pedestal, for me, in the conference because the Cards just haven’t figured them out. Getting to the ACC was one thing, becoming the best of the conference and attaining team goals is another. 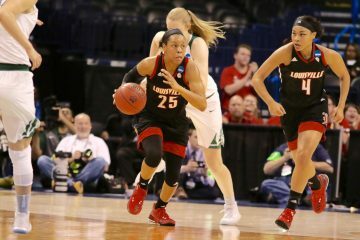 Louisville has beaten Duke, UNC, old Big East foes and just about everyone else other than Virginia and the ACC tournament. Virginia has won 4-5 since the Cards entered the conference. The one win vs the Cavaliers was ironically last second foul line jumper banked by Mangok Mathiang. That’s what’s next for Louisville. The Cards are going for the top 4 spots and a double bye in the conference tournament. You might not have seen Pitinos post game ‘press conference’, if we can actually call it that, but you can watch here: http://www.wdrb.com/Clip/13082786/raw-video-rick-pitino-talks-about-louisvilles-71-55-loss-to-virginia#.WJk2olGK4b4.facebook He answered two questions and on the third got irritated by a reporter’s reference to Mangok, who wasn’t even in the building… and with good reason. I really don’t even want to speculate… but after a short stay in Louisville following the BC match, 2 guys I had been so high on earlier in the day had a lapse of judgement.. and should have been looking ahead to Virginia. 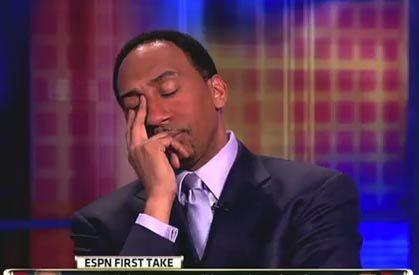 I know I was… One guy being a 5th year senior captain. I’m not saying the action was damning by any means, a missed curfew does no physical harm but it DOES do mental harm to the individuals and those around who trust and rely on you to show up. You’re supposed to be somewhere at a specific time, you do it. This is Rick Pitino, this is 2017. This is the Louisville that walks a national fine line. Its our city’s team, we’re always watching the Cards. This was a missed opportunity at Virginia for Louisville. And it was a missed opportunity for senior Mangok Mathiang. Up until February, I had been trying to figure out what kind of potential I believe this team could have. I tend to wait until January to decide because I’ve been a fan for a long time I know that the Cards can be a cold team in January. I got really excited this past weekend after the Boston College game. I felt in the match vs the Eagles that the team looked confident, perhaps not even full throttle and starting to look like one of the more dangerous teams in the nation at the beginning of February. Always on the post game call, it cut over to ESPN’s Jay Williams and Seth Greenberg discussing the decision made by Pitino to suspend the two in a timely fashion and whether or not it was such a distraction to keep the Cards from making a post season run. Quite the extreme notion if you ask me… Yes it was handled correctly and there should be no further analysis of its impact on the team goal. Yes, as a coach, one could be disappointed but Pitino can be forgiving and understanding as well. But when his guys do something they know better than not, there must be a repercussion. Individuals must buy into team goals. Anyone who’s read or invested into a system of any realm can understand individual responsibility. Jay was on the side of the fence that Pitino had no idea what his guys were up to and that Mangok just wouldn’t be able to bounce back from the decision by coach to suspend and strip captaincy. Remember, in this past week or two we’ve seen a much stronger and confident Mangok on the court.. he had been starting to forget his foot injury he had been recovering for a year from. I was on Seth’s side of the fence that Pitino was made aware of a situation and acted quickly and reasonably for the individuals actions. I didn’t want to hear we were without any more Cards, especially on Virginia day but I was in agreement with Seth that this was one of those battles we would lose when were focused on winning the war. Seth believes this team is still capable of making a deep run into march and that the team will be able to move on from this. I whole heartedly agree. I’ve been measuring this team since that first match with Virginia because it was such an awful game I felt it could only go up from here. 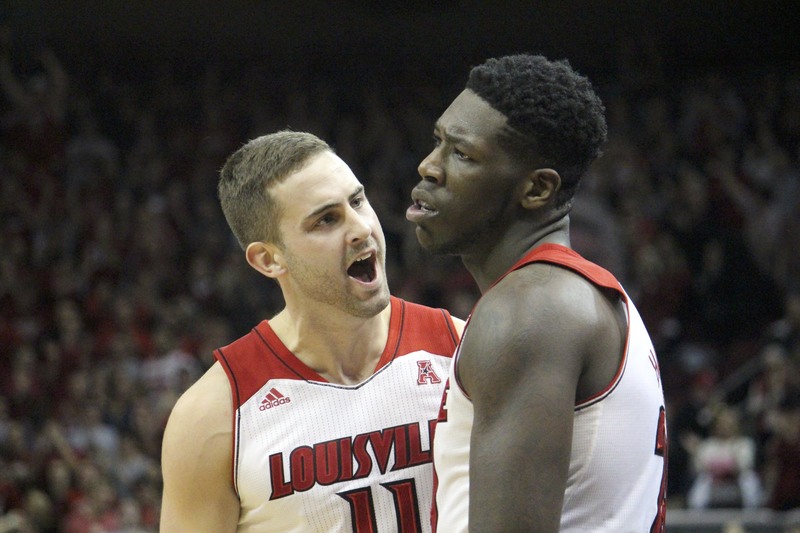 Louisville shot 43% from the field back in the December meeting between the two teams. Virginia held the Cards to 37% shooting from the field on Monday night, without 4 starters. Meanwhile Virginia improved from 49% shooting to 53% in the second meeting. 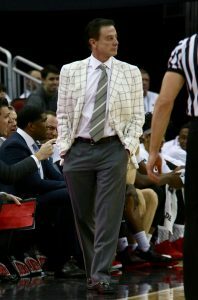 So like Pitino, I dont blame Louisville for losing Monday night. They were exhausted. Louisville now has 5 losses and searching for its 20th win of the season, which Pitino has obtained every season since hes been at Louisville. Currently sitting at 5th in the league, Louisville still has to play North Carolina and Syracuse twice who are both ahead in the conference. 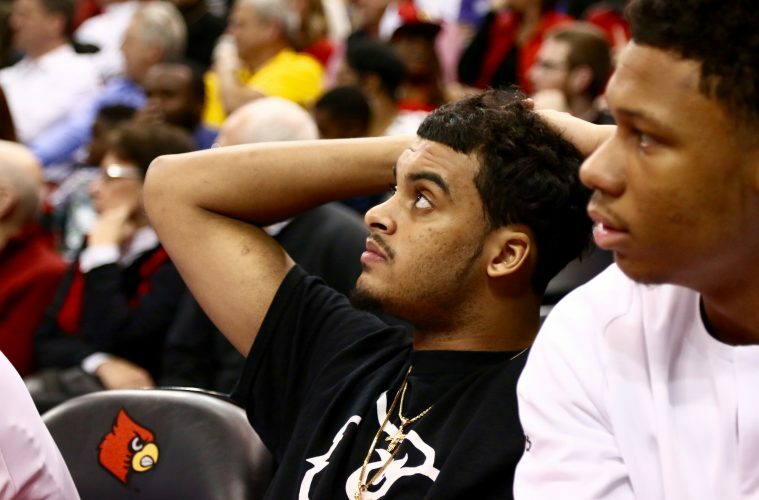 Quentin Snider should be returning to the line up this weekend vs Miami as well as the suspensions lifted for Mangok and Deng. I know I’m not the only one who’s giddy about post season play… IS IT IN THE CARDS!